Tensions between the EU and US tech giants are increasing as the union tries to find ways to regulate international tech services in Europe. The union has repeatedly gone after big tech on competition matters and GDPR’s four percent of worldwide annual turnover fines show it doesn’t intend on giving tech giants a free pass. European ministers are now looking for more permanent ways of making sure that tech superpowers — such as Google, Facebook, Amazon, Apple, and Microsoft — play by the rules and pay their fair share. Latest addition is Germany’s finance minister, Olaf Scholz. He wrote a guest article in Welt am Sonntag where he urged for universal approach to preventing tax evasion by big tech. “We need a worldwide minimum tax level that no state may go below,” Scholz wrote, adding that additional measure would need to be taken to make it harder to move profits into tax havens. Reuters reports that Germany is considering this along with France, ensuring that the EU‘s two biggest players are behind the idea. However, Scholz’ article does come as a surprise as Berlin has been more cautious when it comes to tech tax since he took office — probably due to fears of an EU-US trade war negatively impacting German car manufactures. Just last month, Scholz said it was “necessary to take some time for debate” regarding EU‘s plans for three percent levy on digital revenues of large firms like Google and Facebook, based on overall revenue in the continent and not just profits. But it seems Scholz has had his debate and is now fully behind imposing greater taxes on big tech. Unsurprisingly, one of the main opponents of the idea is Ireland, which would lose revenue as it houses the European headquarters of many of the world’s biggest tech companies (due to its favorable tax breaks). Nordic governments also worry it might stifle innovation and, similar to Germany, fear escalation of trade war with the US. 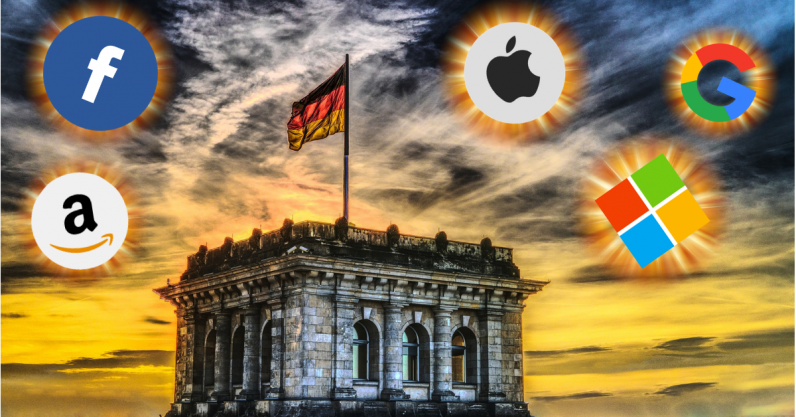 With the backing of the finance ministers of the EU’s most influential members, France and Germany, it seems likely that a compromise on new tech tax will be reached by the end of the year — despite concerns of some member states. It’ll be interesting to see how US tech giants react, as people like Tim Cook have been quite vocal when it comes to stricter EU regulations. Read next: This Day in Deals: Why don't you just go fly a kite?